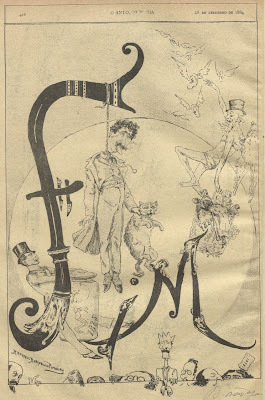 These are page decorations from an instruction book(let) called 'American Clown: Athletic Dance for Men or Boys' by George Caskey (1886) - 2nd Ed. 1927 at the Rare Books and Special Collections site at the University of South Carolina. 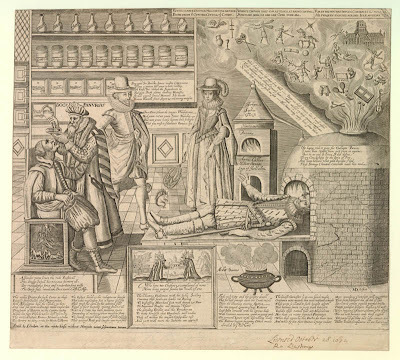 'Doctor Panurgus', engraved by Martin Droeshout in the first half of the 17th century, after an engraving by Matthaus Greuter from 1600, after a 1596 emblem from the printshop of Theodore de Bry. That gives some indication as to the complicated nature of the print and it gives me some solace to learn that the professionals regard the substance and meaning of this work to be complex (welcome to my world). It's another of the Print of the Month entries at the British Printed Image to 1700 website, from where I've poached a couple of illustrations previously. I keep returning hoping to find more of the promised collection, but I'm probably in for an extended wait as the searchable database won't be completed until late next year. 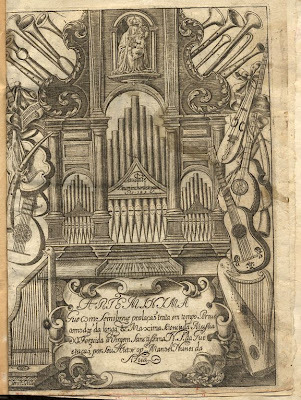 Frontispiece from a 1685 musical theory book by Manuel Nunes Silva called: 'Arte minima, que com semibreve prolaçam tratta em tempo breve, os modos da Maxima, & Longa Sciencia da Musica..' at the Portuguese National Digital Library. 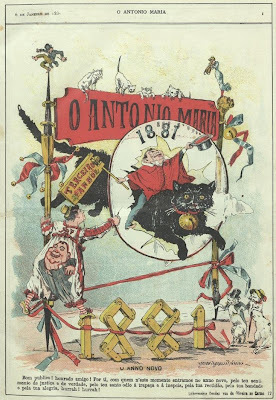 'O António Maria' was a popular satirical magazine in Portugal in the last twenty years of the 19th century. 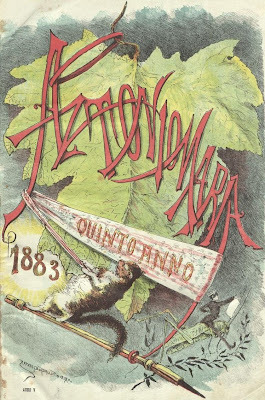 Lampoon targets were often drawn from contemporary social and political life in Lisbon, but there are some wickedly funny elements among the caricatures that have outlasted their local origins. Chief among contributing illustrators was Rafael Bordalo Pinheiro, Portugal's first major cartoonist. 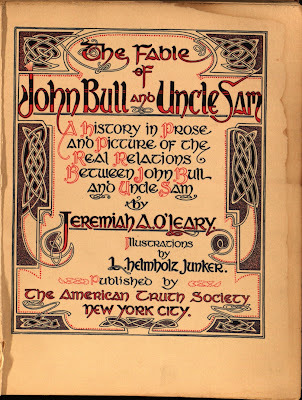 'The Fable of John Bull and Uncle Sam' 1900 by Jeremiah O'Leary with illustrations by L Helmholz Junker is online among the Joseph McGarrity books at Villanova University Digital Library. It is, by any measure, a very very strange book and also, very orange, but certainly interesting from a typographic standpoint. It's something of a compilation of newspaper articles/arguments and associated editorial cartoons. "Map of the world in two thirty-six gore hemispheres. This image is the left sheet of a two-sheet map and is a north polar projection including North America, Caribbean islands, and northern part of South America. 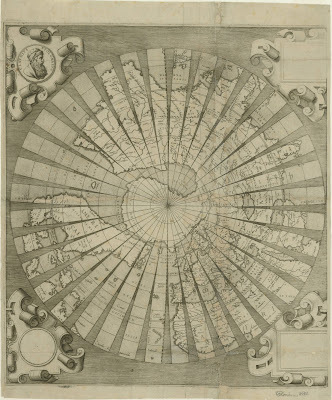 Cartographic elements include lines of latitude and longitude and some topographical details. Decorative elements include a medaillon portrait of Claudius Ptolemy. [..] The map is directly copied from Mercator's double-cordiform map of 1538." Found among the Archive of Early American Images (Insight browser) database at Brown University. 'Le Baton Pastoral. 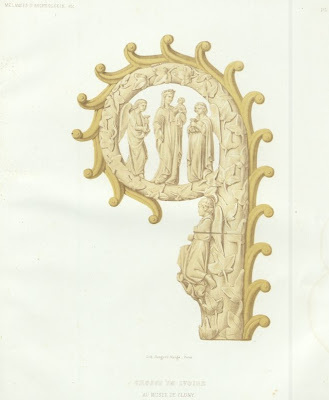 Étude Archéologique' 1856 by Abbot Barrault and Arthur Martin - a study of the decorative heads of pastoral staffs as they have developed over the centuries, from ancient times. 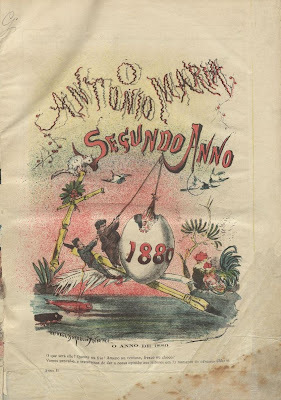 The book contains 150+ illustrations including five chromolithographs and is online [although I couldn't get through at the time of writing today] at the Portuguese National Library [BND]. Folio 18r from MS Ashmole 399 at the Bodleian Library, Oxford University. 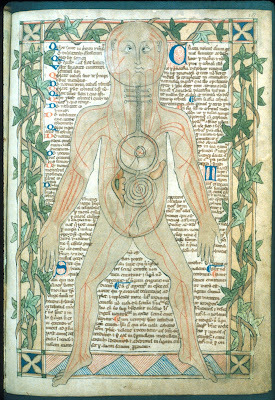 Simply described as: "Anatomical illustration showing the veins, from a medical miscellany", produced in the late 13th century in England. Miscellaneous 13th-century manuscripts. These are planetary orbital schematics from a 1485 version (by Erhard Ratdolt in Venice) of the famous 13th century 'De Sphaera', by Johannes de Sacro Bosco. 'De Sphaera' was a simplistic and accessible treatise that incorporated astronomical mathematics derived from Ptolemy and Arabic sources and outlined the spherical nature of the earth. That there were more than 100 editions released over 2 centuries serves to highlight the common held fallacy that medieval scholars believed the earth was flat. The image pastiche above was drawn from a digitised version of 'De Sphaera', among the Incunabula Collection at Mexico's University of Guadalajara. 'Birds in Harness' by Ruth Marten (2007). 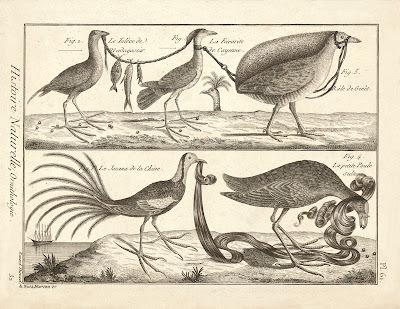 I suppose it's 'copyright Ruth Marten', who augments old engravings (in this case I think it's Georges Buffon's 18th century 'Histoire Naturelle'). Image from the Adam Baumgold Gallery. Artist website. She likes hair. "The so-called Cantatorium of St. Gallen, the earliest complete extant musical manuscript in the world with neumatic notation. It contains the solo chants of the Mass and constitutes one of the main sources for the reconstruction of Gregorian chant. Written and provided with fine neumes in the monastery of St. Gallen between 922 and 926. 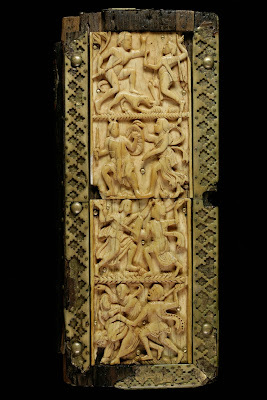 Bound in a wooden box with an ivory panel on the front cover, most likely Byzantine c. 500, depicting scenes from the fight of Dionysos against the Indians. The ivory panel was once the possession of Charlemagne." See Codex 359 among the 144 medieval manuscripts online in the Digital Abbey Library of St. Gallen (CESG) in Switzerland. 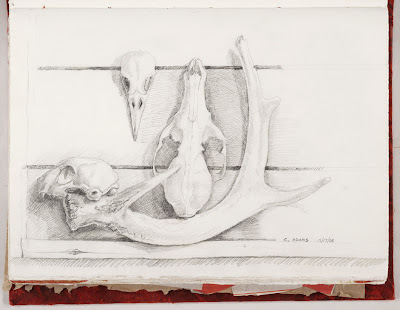 'Cowskulls' by C Adams, 2005. 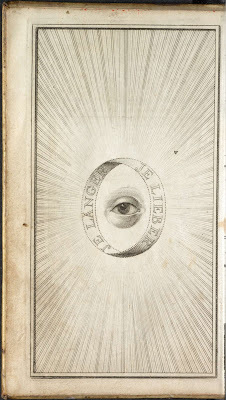 (IN: Oregon) From the newest digital collection at the University of Wisconsin - Sixty Books Sixty Libraries. "This digital collection was a collaborative book arts, writing and journaling project for the people of south central Wisconsin. [..] The BFG book artists created sixty handmade blank books. Each book was catalogued into each of the sixty libraries in the South Central Library System. Unlike other library books, patrons were invited to write, draw, paint or collage in the books, producing community-wide collaborative works of art." I think it verges more towards ephemera than bookart strictly speaking, but there are some interesting contributions among the albums. I think this is the most beautiful sketch of a tulip I've ever seen. 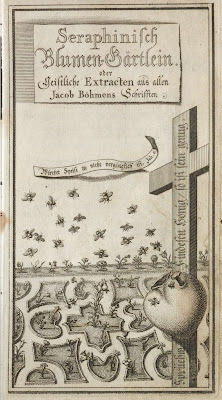 In an album of 190 watercolour illustrations, Johann Bartholomäus Braun's 'Flora Picta' from ~1660 documented the garden of the Count of Baden-Durlach. 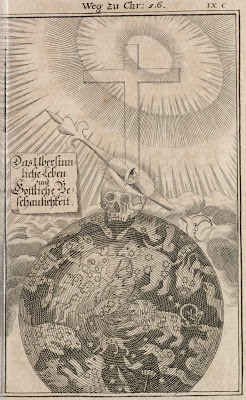 The above two images (both spliced together from screencaps) come from an outstanding (German) exhibition site devoted to hand-drawn illustrations, manuscripts and bookbindings from ten centuries: 'Göttinger Kostbarkeiten - Handschriften, Drucke und Einbände aus zehn Jahrhunderten'. 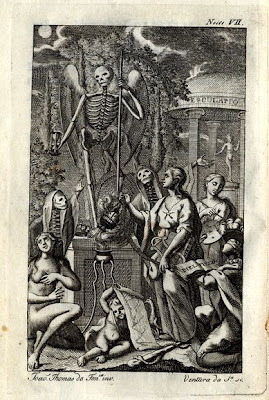 The links down the page go to introductions to each section and the links across the top go to all the illustrations - there are some rare and unusual items here - and you need to click through each image to the flashzoom screens to see the full illustration. The National Gallery of Art in Washington DC have a current exhibition (and modest online selection) entitled Private Treasures: Four Centuries of European Master Drawings. Book artist, Denis Yuen --- weblog, studio, profile. Beautiful. The Rijksmuseum in Amsterdam have a great triple-presentation/slideshow about two recent acquisitions. The first is a tapestry cartoon (anon. from the 1500s) which was in poor condition when the museum received it - there are two segments, one outlining the nature and use of tapestry cartoons, and the other describing the restoration work they carried out. 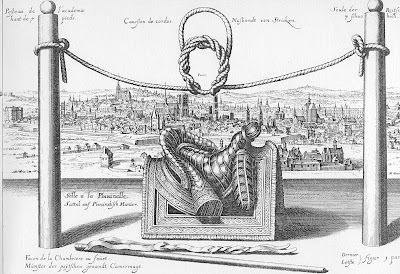 The third presentation shows how a Renaissance sketch artist (Barthelomeus Spranger) communicated modifications to his engraver, Jan Muller, in an ongoing exchange from different cities, until a final print was approved. 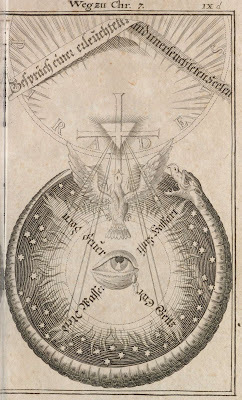 This level of knowledge about the development of an engraving must be reasonably unique I would have thought. If you add the 40,000 artworks newly available from the German Zeno site [via] to the 70,000 works available from the Los Angeles County Museum of Art, you get a metric tonnage of digital artistic access. 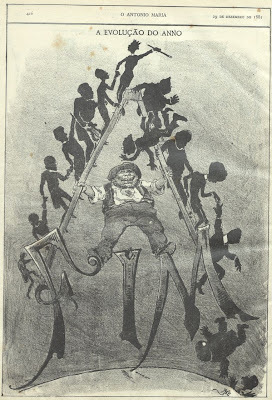 The current edition of the online journal, Common Place (from the American Antiquarian Society and Florida State University History Department), is entitled: 'Revolution in Print - Graphics in Ninteenth-Century America'. I haven't read any of the essays...yet! Old Book Illustrations is an intriguing site from France (in english) that is posting scans of engravings from (mostly) the 5-volume 'Dictionnaire Encyclopédique Universel Illustré' by Jules Trousset (around 1890). It's all arranged in categories with keyword search. There is also a weblog, in which our host, Lucilius, is periodically providing translations of the text that accompanied the images. If all that is not enough, there is a freely available zip file of a selection of high-res examples, which will be updated from time to time (but the regular pictures on the site are of a reasonable size anyway). 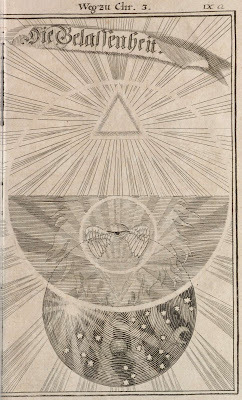 Think: 19th century clipart. And for more modern clipart: Dryden Aircraft Graphics Collection - 'This collection contains digitized drawings, graphics and line art of many of the unique research aircraft flown at NASA Dryden Flight Research Center at Edwards, California from the 1940s to the present'. The new project at things magazine: The sketchbooks of Mrs Blaine, "a collection of drawings and watercolours by a C19 traveller in the Middle East." A link I've had for ages and forgotten to post: 'Painted Prints - The Revelation in Color' at the Baltimore Museum of Art - looking at the process, people and techniques behind the colouring of prints across 2 centuries. One last, lost, persistent link found under the rug in my computer's basement is the eclectic set of illustrations at the Virtual Library of Polish Literature in Gdańsk. That they are from Poland is about the only tenuous thread that seems to connect them all. 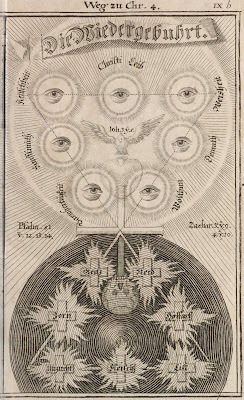 There a many good reproductions of Jakob Böhme's, Michael Maier's and Robert Fludd's pages, as well as many others', in Taschen's "Alchemy and Mysticism", by Alexander Roob. I took a look at the Brown University Archive. Oddly enough, the first thing I clicked on was "Brazil", and there was the final image in your post. Image dimension height: 21.2 cm. Image dimension width: 27.5 cm. Page dimension height: 25.1 cm. Page dimension width: 32.7 cm. 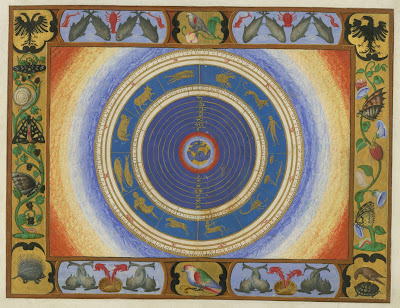 Description: A zodiac surrounds an image of the earth including North and South America. The border contains fish, dolphins, hedgehogs, butterflies, snail, eagles, double-headed (Hapsburg) eagle, and birds. 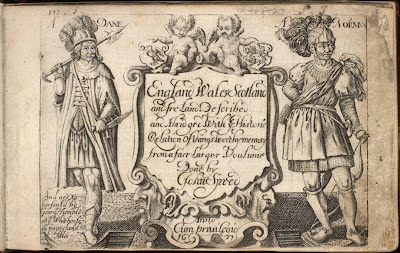 notes: Given by Charles V, Holy Roman Emperor (Charles I of Spain) to his son, who ruled as Philip II of Spain, this atlas consists of fourteen maps. Agnese, a prolific Genoese mapmaker working in Venice, and his workshop produced a number of decorated manuscript maps. Seventy-one surviving Agnese atlases were identified by Henry R. Wagner in 1931. Heh. Thanks mmblz. I was juggling so many things in my mind and hadn't been back to Brown U in a week or more. I feel quite chuffed that I had the 'portolan' reference correct! L. Helmholz Junker was evidently an assiduous student of Celtic interlacing. He (she?) 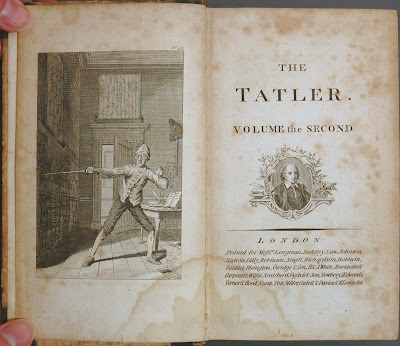 seems to predate George Bain's book on how to do it. Can anyone translate "je langer, je lieber?" Got it: "the longer, the better." Hi priya, thanks for the links. I had seen them both before in passing but am thankful for the reminder. I think you are a bit too modest about just being a curator. This is quite a masterpiece that you have put together here. It is so rich and so full of wonder, that I will have to come back several times to fully take it all in! Thank you so much for your work in putting this all together. You have inspired me greatly today. Thanks very much frenchtowner for the kind words. Don't worry, I have a healthy (too healthy sometimes!) ego. I do a lot of work to make all this material appear to be sure, but by the same token, collecting and presenting is not the same as being an authority nor is it, to my mind, in the same ballpark as the actual production of artistic works. I'm proud of (most of) what's here in these pages but it's important that I put things in perspective and also not make it seem too much like "I" am too responsible beyond the clipping and tweaking and research and writing. So, thanks, but it's important to me that I err publically on the side of umm.. caution, let's say. Cheers! Hi Annette. No, this one-person, non-group blog does not have a newsletter, though you can subscribe by email to the blog output. I was using Twitter for basic sharing of blog-type material. Having said that, I am just about retired: am seriously thinking about putting down the internet for anything other than media/email/info and returning to physical books.